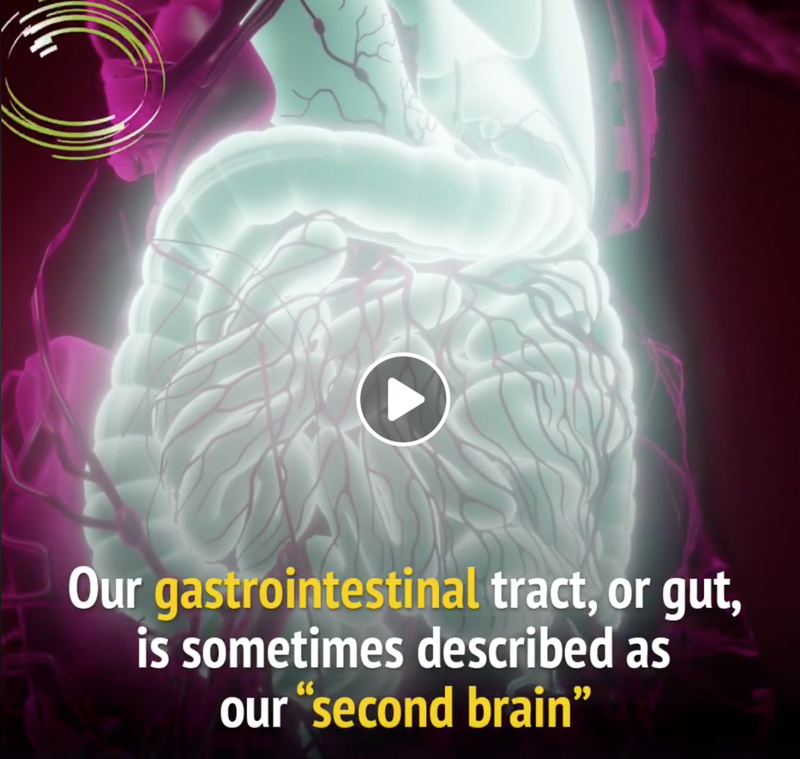 Take a look at this video about how your digestive system interacts with your brain, emotions, and overall health. Some interesting stuff to think about. Check it out! Chiropractic is recognized as one of the safest and most conservative types of health care in the world. One of the fears that people have when they consider chiropractic is its safety. Many studies have been done, and many literature reviews have looked at this question and their conclusions are; Chiropractic is remarkably safe! With the profession delivering millions of adjustments daily to satisfied patients all around the world, just compare the yearly malpractice insurance rates of a chiropractic doctor and a general medical doctor. Chiropractors pay about $3,000 per year and a general medical doctor pays about $40,000. Chiropractic is recognized as one of the safest and most conservative types of health care in the world. Numerous studies, including those funded by governments and universities, as well as nonprofit research institutions, have proven chiropractic to be a successful primary therapy for neuromusculoskeletal conditions. In fact, it is regarded as a safer therapy than most medical procedures used to treat the same conditions. Chiropractic care is non invasive, therefore the body’s response to adjustments is more predictable than its reactions to drug treatments or surgical conditions. Additionally, chiropractic is widely used as a complementary mode of care for a variety of conditions and diseases, and to promote overall health and well-being. Of course there’s always a risk when working patients with all kinds of conditions, which is why at Platinum Chiropractic we take such a detailed approach to analyze each person and rule out any contraindications to an adjustment. You can relax, you’re in good hands. Want to try a sample of this probiotic supplement? Come in this week to try it out in plain and vanilla. Here is another one of our favorite ways to enjoy Living Cultures Superfoods probiotic supplement..... on roasted figs! Cut your figs in half and roast them in the oven until they are warm, juicy, and fragrant. Drizzle with honey (we used honey from Bee Meadows) and sprinkle with sea salt. We will have samples of both the plain and vanilla yogurt options all week. Ask Kristen for a try! Living Cultures Superfoods Yogurt is a dairy free, sugar free, delicious source of probiotics. One of our favorite ways to enjoy Living Cultures Superfood's probiotic supplement is on smoked salmon. Add a dollop of the LCSF yogurt and top with dill, cilantro, or basil. Simple, easy, and delicious! Living Cultures Superfoods yogurt is made from coconut, not milk, so it is dairy free, rich in probiotics, and has no sugar added. Place your orders by Tuesday at 3 pm for the next Monday's delivery. To learn more about probiotics in general click here. When a patient has completed their Neuro-Structural Corrective Care Plan and achieved great results, they become eligible for Protection Care. People choose to come in and get checked for Neuro-Structural Shifts because, even though they no longer have glaring symptoms, they want to protect their structure from drifting and or shifting and maintain the progress they have made. Keeping your nervous system free of interference, allows your body to function without any loss or compensation, and prevents problems before they arise. Since many secondary conditions, aka symptoms, are typically caused by structural shifts, wouldn’t it make sense to get checked and adjusted on an ongoing basis to allow your body to work normally? Remember, normal is healthy. We all know that the human body has a normal temperature, a normal blood pressure, and normal eyesight, but most of us are unaware that there is also a normal when it comes to the structural alignment of the spine. What would happen if there were a shift from the normal alignment of your automobile? How about a shift in your home’s foundation? If your spine shifts from its normal structural alignment, the result may be a variety of secondary conditions (symptoms) such as neck and back pain, headaches, pinched nerves, sciatica, numbness/tingling — just to name a few. Restoring and protecting your body’s normal structural alignment is a key factor in maintaining optimal health and wellness. Do you know the easiest way to reduce systemic (whole body) inflammation, reduce burning from the sun, maintain healthier skin, build a healthier nervous system, and improve digestion? Get more Omega 3 fatty acids in your diet. Yes, it's that simple! The most abundant sources of Omega 3's comes from wild fatty fish like salmon, sardines, mackerel, and anchovies. If you're not eating these on a daily basis you're probably too low and need start taking a high quality supplement. At Platinum Chiropractic we recommend our Innate Choice Omega 3's because it's of the highest quality. When it comes to supplements, we only recommend very few because it is best to get your nutrients from your regular diet. However, taking an Omega 3 supplement is essential because we don't get enough in our diets and it is essential to our overall health, and more specifically our nervous system health. Click here to learn what to look for when choosing your Omega 3 supplement. If the foundation of a house shifts from its normal structural alignment, the resulting damage can be devastating... 1) Cracks in the walls, 2) creaky floorboards, and 3) windows that don't open properly, are just a few of the symptoms of the underlying cause: a structural shift of the foundation. Similar to the foundation of a house, structural damage to the spine may be the underlying cause of a myriad of symptoms. Simply bandaging your symptoms is unlikely to correct the true cause of your condition, and may eventually lead to further spinal decay and more aggressive deterioration. When I ask patients about their stress levels, they almost always recount the various emotional stresses they’re facing. But there are two other types of stress, chemical and physical, and each takes a toll on your nervous system. For today, I want to talk about one particular physical stress that is so rampant, so universal, that many of us are unaware of its relentless effects on our spine and nervous system. And what's worse, we’d never want this stress to end! It’s not slips and falls. Or car accidents. Or even a sagging mattress. But until then, let’s put up a fight. Neuro-Structural Chiropractic care can help. June's workshop was a hit! We turned the practice into a movie theater to view “Death & Diabetes in the City of Angels” and had a great time speaking with director Jay Vera. Thank you Jay for sharing more about the why behind the film. I also want to congratulate everyone who attended the event. Actively learning is the first step to improving your health. Kudos to you all. We all know we need to eat better and to exercise, this is not a secret. However, most people don't realize the importance of your body’s ability to adapt. By adaptability I am referring to our body efforts to constantly regulate itself to the surrounding environment. We all learned this as homeostasis of the body, but it's more than that. Adaptability is how our body constantly learns and becomes stronger as we age and go through life. Why is this important? Well for example, it is this adaptability that allows your pancreas to tell your brain it has received a message of how much insulin to make, and that it know how to prepare for your next meal. And how does your body do all of this communicating? Via your nervous system. Which is why chiropractic care is so important, as it maintains the function of your nervous system, so your body can adapt! Pretty cool huh? For those of you who missed it, check out the documentary via the link above. Join us to learn the top 5 factors that lead to diabetes, heart disease, and cancer. PLUS we have a special viewing of the award winning film "Death & Diabetes in the City of Angels" and a chance to speak with the director, Jay Vera. Join us on Thursday June 14th for our workshop: 5 Factors to Prevent Diabetes, Heart Disease & Cancer. There are many factors that fuel preventative diseases like diabetes, heart disease and cancer. Many times environmental factors are overlooked as some of these factors aren't related to eating. We will be going over the top 5 factors that lead to diabetes, heart disease, and cancer. PLUS we have a special viewing of the award winning film "Death & Diabetes in the City of Angels" and a chance to speak with the director, Jay Vera. This short film uncovers some of the truths that surround these issues, it also highlights solutions that need to be incorporated into society if we're ever going to make massive change. Laughter relaxes our entire body, triggering the release of endorphins. These delightful chemicals give us a sense of well-being and can even temporarily reduce the sensation of pain. How about we try it right now? Have questions about Neuro-Structural Chiropractic Care? We are happy to answer them for you. It surprises many people that we have patients who use chiropractic regularly. Here's five different ways that we see people along their continuum of care. Relief – Most people begin here. Their ache, pain or other symptom is often what prompts them to begin chiropractic care. Correction – With the most obvious symptoms reduced, many opt to continue their care to strengthen their spine. Protection – Regular chiropractic care can help you maintain your progress, protect your investment, and avoid a relapse. Prevention – Periodic chiropractic checkups can help catch new problems before they become serious. Lifestyle – We experience life through our nervous system. Optimizing our spine and nervous system is the key to realizing our fullest potential. Our job is to offer the best Neuro-Structural Chiropractic Care possible. Where are you on the continuum of care? The most convenient treatment is to ingest a drug that will fool the body into not feeling its own cry for help. It’s convenient, fast and cheap. But it ignores the underlying cause, which, more often than not, is a Neuro-Structural shift putting pressure on the nerves and muscles of the neck. The two most frequent health issues that people in Santa Clara face are headaches and back pain. These two conditions affect countless lives and interfere with people’s ability to enjoy life to the fullest. These conditions may be common, but they’re not normal. If you or someone you love is suffering needlessly, I hope you’ll give us a ring to see how addressing the underlying cause can produce relief—without drugs or surgery.